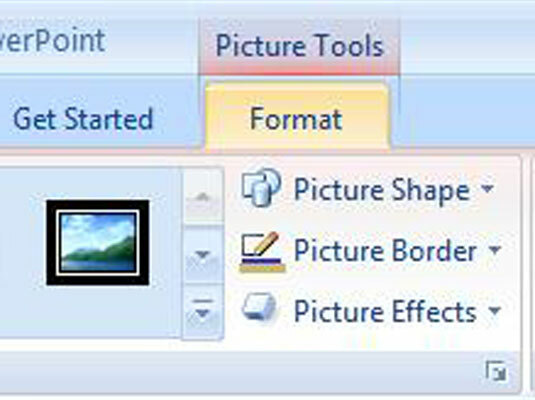 1Click the (Picture Tools) Format tab. This opens the Format tab. This opens the Recolor drop-down list. 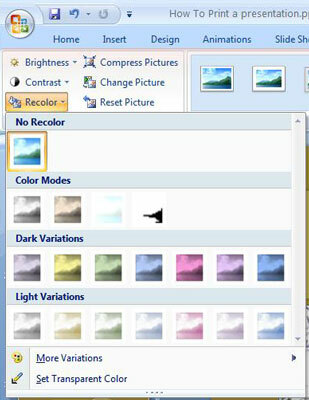 Choose the More Variations option to open a submenu with many color options. Live previewing really comes in handy when you’re recoloring a graphic. 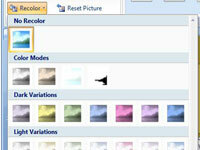 Move the pointer over options on the Recolor drop-down list and watch your graphic to see what happens. 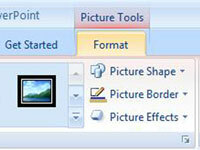 The Washout option creates a transparent image and is useful when creating watermarks.